In the beginning, there was the Exchange server, and it was good. One box did it all, and there was no concept of roles. Then Exchange evolved and in 2003, we had a role for the front end, a role for the backend, and even individual roles for each client protocol. With 2007 we started to see the more functional roles for Mailbox, CAS, UM, and HUB, and the introduction of the Edge. 2010 continued this trend, but then 2013 started to reduce roles, coming out of the gate with only CAS and Mailbox, but eventually adding Edge. But we’re in for another change with 2016, and it will remind some of you of 5.5. 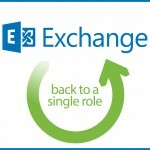 The next version of Exchange, Exchange 2016, will ship soon, and it seems that the wheel has turned, because Exchange 2016 has gone back to a single role. An Exchange server will include mailbox, SMTP routing, and CAS functions. The CAS functions will be loosely coupled like in 2013, but no longer as a separate role or even the expectation of a separate box. This new design sets up every Exchange server to function as “an island” according to the Exchange team. All communications between servers still happens at the protocol layer, and all endpoints remain local to the active mailbox copy. This greatly simplifies architecture, expands upon availability options, and frankly probably mirrors what most customers are doing anyway with their multirole Exchange 2010 or 2013 servers. It also means that customers moving to Exchange 2016 will have a much easier time doing so. 2016 can fully coexist with 2013, including keeping namespaces on 2013. 2013 CAS servers can proxy connectivity to mailboxes on 2016. You can also have a mix of 2013 and 2016 servers in the same site, and even have a mix of 2013 and 2016 servers in the same loadbalancing pool. The “preferred architecture” for Exchange 2016 is very similar to Exchange 2013, and is also what Microsoft has deployed for Exchange Online. You may not be interested in the cloud, but you have to acknowledge that Microsoft is maintaining greater than 99.9% availability for literally millions of mailboxes, so they have a pretty good thing going there. Check out Ross Smith IV’s presentation from the Ignite Conference for more on that at https://channel9.msdn.com/Events/Ignite/2015/BRK3197. So here’s some upcoming requirements for deploying Exchange 2016. These are subject to change since the product has not shipped yet, but you can expect the following. Operating system requirements will be Windows Server 2012 R2 or the yet to be shipped/named Windows Server “10”. Active Directory must be at domain and forest functional levels 2008 R2 or later, which of course means all your DCs must be running 2008 R2 or later. All Exchange servers in an existing org must be running Exchange 2010 SP3 RU11 or later, or Exchange Server 2013 CU11 or later. Expect these requirements to change if new RU/CUs ship. Note that there is no Exchange 2007 coexistence listed. Exchange 2016 is coming, and it may be more like a car company model year than a calendar year, so if you are planning on the move, now is a great time to start getting ready. The AD requirements are not insignificant, so while you are considering mocking up things in the lab, you definitely should start working with your AD team now to upgrade their DCs and raise DFL and FFL now. In the meantime, let us know when you plan on doing the move to Exchange 2016 by voting in the poll below. Definitely do not have to agree with the “99.9% uptime” for everyone. It was down for the majority of our users yesterday due to some logon issue that took them quite a few hours to fix. Every few months it goes down for a few hours for this or that. Mail flow stops working, etc. We have customers wanting to switch back to on-premise due to the amount of issues and downtime they’ve had with Exchange Online. 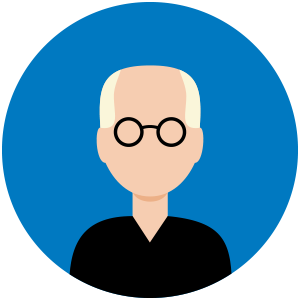 Some customers like O365, others do not. The thing is, if a customer is on O365, and their individual service availability falls below 99.9%, they get credit back. It’s that simple. My comment was around the deployment of Exchange. Microsoft created Exchange, and knows how it is built to run. But as far as Exchange is concerned, Microsoft is not abandoning the concept of on-premises, self-hosted Exchange. Exchange 2016 is the option for customers who want to run their own messaging.